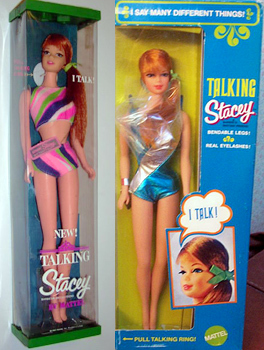 Talking Stacey Doll spoke with a British accent. She was introduced in 1968 and was manufactured through 1971. In that time span she had two different swimsuits.